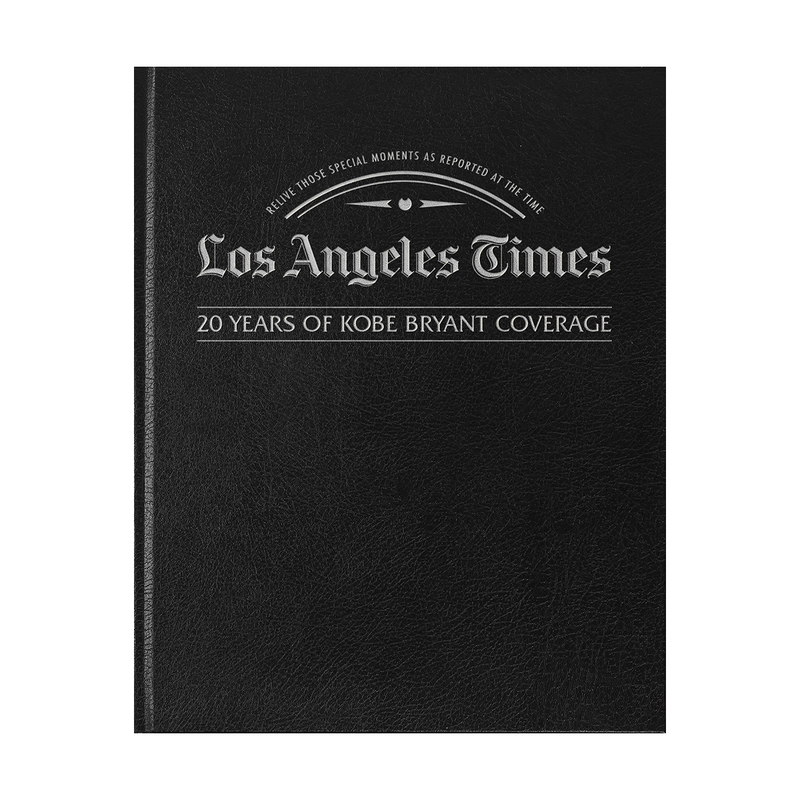 Relive the past 20 years of Kobe Bryant's Career with this historic collection of coverage from the Los Angeles Times. This beautifully bound leatherette book with silver embossing is perfect for any fan, and comes with a free personalized inscription inside the book. Be sure to enter the name of the person receiving this item in the ""Presented To"" box. For a gift that goes above and beyond, select our special embossed and annotated editions which add a rich, regal look to every book. 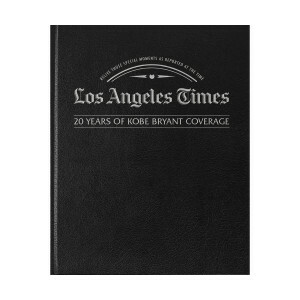 Be sure to add the message you wish to have embossed in the Personal Message box when ordering an Embossed Cover book. **If you select the custom embossing option, be sure to enter your Personal Message in the appropriate field. Orders with a Personal Message that do not have the Embossed Name option selected will not be embossed.